Over the last year, Bombardier’s CEO, Alain Bellemare, repeated many times the necessity for its aerospace divisions to develop a new aircraft. Its five years plan to put Bombardier back on track does include a budget to launch a new aircraft in 2018. Before Airbus swoop on the C Series, most of us were thinking that the CS 500 would be next, but it is obvious now that the next aircraft designed by Bombardier will come from its Business Jet division. At Bombardier Business Aircraft, M125 is the code name for the aircraft project that is being currently developed. The definition of the aircraft is not completed now but some orientations are firming up. 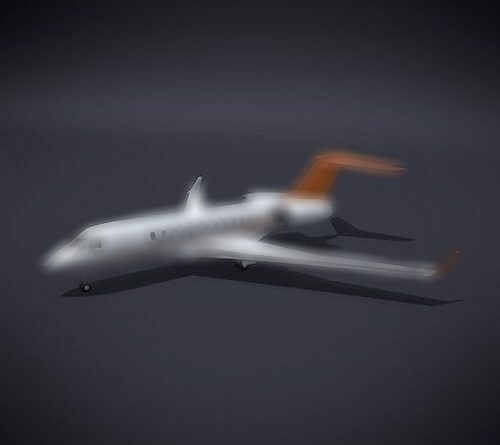 It appears its fuselage would have a shape similar to the Challenger 350 but could be a little bigger in diameter, it would be made of the same Aluminum Lithium alloy of the C-Series and the Global 7000. It would have a fly-by-wire controls and its level of automation would allow the aircraft to be single pilot for those operators that would require it. An all-composite wing has been pushed aside. The conception of the wing would likely be inspired from the wing of the Global 7000. Since its wing span would be bigger than the Challenger 350 one, it opens up the possibility of short runways operations as well as long-range or even a combination of both. No information has filtered so far about an engine selection; since it is not possible to establish the maximum take-off weight of the new aircraft, it is very hard to speculate about any engine as thrust range is very large at this point.